“As you are very much aware, you enjoyed overwhelming goodwill from our people particularly the youth. Your entry into the race and eventual victory gave me and many of my friends hope that your era would be the best in terms of quality of representation. You started quite well, communicating regularly with constituents, online and offline; sharing your vision and thoughts and getting inputs as well. That has since stopped. I and many other friends who campaigned vigorously for you using social media and our home networks are usually faced with questions from other peers whom we campaigned to. I’m also no longer familiar with the activities of my legislator, who also happens to be a senior friend. Consequently, I feel like putting up the following 11 questions to you trusting that you will make out time from your busy schedule to provide written response within this week. Some of the questions came from my close associates, those who like me believed in you and worked hard to sell your candidature to the electorates 3 years ago. In the event that we meet anytime soon, it may provide opportunity for more interaction”. 1. 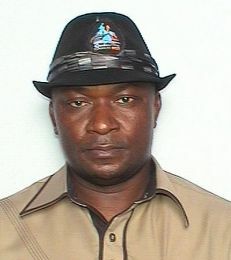 You made the following promises before your election (details here -> https://donlaz.wordpress.com/2013/06/04/i-want-to-be-known-as-a-pro-poor-legislator-hon-linus-abaa-okorie/), kindly state which one(s) you have fulfilled. Please give specific examples of what has been done in each case as may be required. – To sponsor a bill to provide for federally- funded education programme for traders. – To assiduously campaign against the high incidence of poverty in Old Ohaozara. – To Work in concert with NGO’s, to introduce and support a policy of social mobilization, organization and enlightenment that empower groups and segments; especially women, economically and politically for greater social development. – To nurture a virile youth population that is educated, skilled, enlightened and productively engaged for positive development. – To seek out and partner with local and international agencies in the key areas of the MDGs for the benefit of the people. – ICT Training for young people in the constituency and provision of funding support for skill utilization. – Support rural women groups to form profitable microcredit societies. Please state whether or not you have done them. Provide web links or references where applicable. 3. At different periods, you advertised some job positions and asked for CVs of interested constituents. How many of our constituents have you helped to secure jobs? 4. Did you provide scholarship, financial grant or official recommendations to students in our constituency? If yes, how many persons and at what level of education? 5. How many FG-funded development projects (different from usual constituency projects) have you attracted to our constituency? Please name the projects, locations and status of completion. 6. You carried out sensitization program on YouWin for our constituents in 2013, how many of the sensitized persons were provided with technical support during the application process? How many of them scaled through the first round already shortlisted. 7. You provided a Constituency House in Abuja within your 1st year in office. Is the apartment still available for the use of constituents? Till date, how many of our constituents have made use of the place? 8. There were pockets of violence, kidnappings/killings recorded in the constituency recently, specifically in Onicha and Okposi. What specific action(s) did your office take to help to restore peace and forestall future occurrence? 9. 18 months ago (November 2012), I and Humphrey Chidi Awo (two of your key supporters and campaigners in 2011) conducted a qualitative assessment of your performance, collated opinions and suggested way forward and shared with you. It is also published on my blog here -> https://donlaz.wordpress.com/2013/06/04/ohaozara-people-assess-rep-linus-okorie/ . Did you find it useful? Did it in any way influence your actions as a representative of our people? 10. In a recent opinion poll conducted online and monitored by me, 55% of our constituents who responded feel that your representation is “Not at all effective”, 35% thinks it is “Slightly effective” while only 5% think you are “Very Effective”. What do you think about these findings? What steps do you plan to take to improve this rating? I’ve waited for more than 5 weeks to get answers to the above questions but yet to get any. It is a well known fact my friends and I (like so many other constituents) have supported Hon. Okorie covertly and overtly before, during and after his election. He has also supported me to achieve some of my goals and remains a senior friend. So many other constituents made individual sacrifices to ensure his success at the election and everyone hoped for a superlative and effective representation. However, the quality of representation I have observed so far fall below my expectations. I anticipate Hon. Okorie’s response to the questions because Ndi Ohaozara have the Right to Know. His responses will also help us see how we may support him to do better in the remaining months of his tenure. I also look forward to seeing and sharing very positive and exciting activities of my rep yet again. May God continue to bless the good people of Ohaozara Nation!